It was already night on Saturday, April 7, 2018, when the helicopter of the Federal Police landed on top of the Headquarters of the Federal Police in Curitiba, bringing with it the most popular president in Brazil’s recent history, Luiz Inácio Lula da Silva. His incarceration would mark the destiny of Brazilian politics, decided in the polls, in October of that year. It had been a long couple of days since his incarceration was ordered by the then judge of the “Car Wash” case, the current minister of Justice, Sérgio Moro, on April 5, after the Supreme Federal Tribunal rejected a petition for preventative habeas corpus, presented by the defense of the ex-president. The Workers’ Party militancy and leftist people’s movements blocked the headquarters of the Metal Workers’ Union in the Greater São Paulo-ABC Metropolitan Area, seeking to, in vain, impede the “kidnapping” of Lula. Before he presented himself to the authorities of Curitiba, the ex-president gave an emotional speech, wherein he promised to resist the unjust imprisonment and continue struggling to prove his innocence. When did it all begin? What brought the greatest political leader of the country to prison? What is he accused of? Who is interested in his imprisonment? 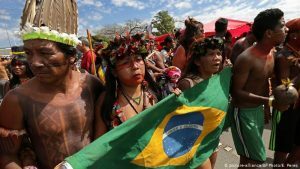 Brasil de Fato has been looking to answer these and more questions over the past few years, since the beginning of the legal persecution unleashed by the agents of the Operation Car Wash. The country woke up on March 4, 2016 surprised by an operation of the Car Wash Task Force that invaded, in the early hours of the morning, the apartment of ex-president Lula in the city of São Bernardo do Campo, in the Greater São Paulo-ABC Metropolitan Area. The bench warrant was ordered by the ex-judge Sérgio Moro before even having summoned the member of the Workers’ Party to provide clarifications. 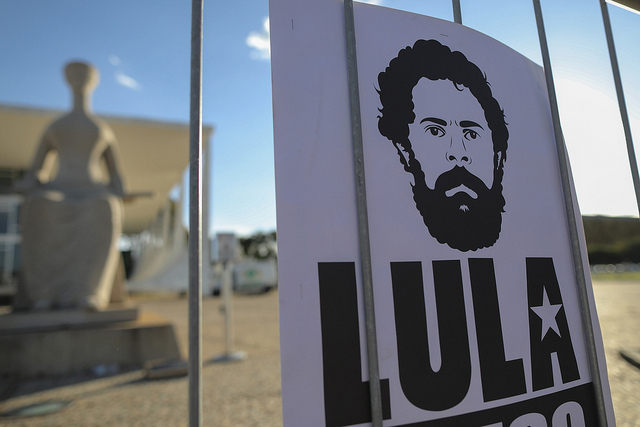 The whole operation was broadcast live on major media outlets that were previously advised about the operation, as the ex-president Lula himself denounced after being freed. After this, the defense of the ex-president began to publicly denounce the practice of what they call “lawfare” against Lula. 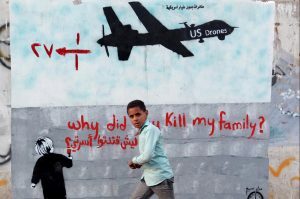 To summarize, it consists of a strategy that coordinates judicial decisions with media actions, aimed at morally affecting the accused, condemning them before the investigations are concluded. For legal expert Aury Lopes Júnior, specialist in Criminal Procedural Law, the practice of lawfare can be identified in different moments where an unusual processing is perceived in the legal process with political objectives. However, according to Lopes, the problems related to lawfare are not limited to just this. The charges brought by the public prosecutor’s office against the ex-president emerged only five days after the bench warrant to force Lula to testify, when the prosecutor of the Operation Car Wash, Deltan Dallagnol, starred in the famous scene, that later would become the central topic of memes on social media, where he showed a powerpoint presentation that linked the cases of corruption of Petrobras to a photo of the ex-president in the center of the screen. In that moment, Lula was accused of being “the chief” of the entire corruption scheme revealed in the state-owned oil company. On September 20, 2016, the then judge of the 13th Criminal Court of Curitiba, Sérgio Moro, decided to accept the charges brought by the public prosecutor’s office against Lula in the Guarujá beachside apartment case. According to the Car Wash Task Force, the ex-president supposedly received a bribe from the construction company OAS, in the form of a beachside triplex apartment in the city of Guarujá, on the São Paulo state coastline. In the case, the ex-president is accused of passive corruption and money laundering. On May 10 of the following year (2017), Lula gave a testimony for the first time to a judge in Curitiba. During the hearing, the defense of the ex-president presented evidence that the apartment had never been the property of the family Lula da Silva, as the lawyer Cristiano Zanin Martins explains. 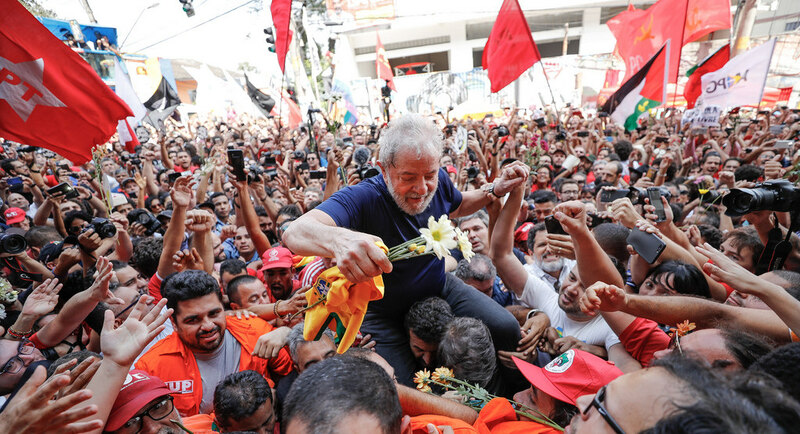 Ten months after the process, on June 12, 2017, Moro sentenced Lula to nine years and six months in prison in closed conditions. 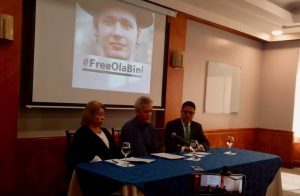 A sentence that, for the criminalist lawyer Fernando Hideo, lacks legal criteria that are well defined by the Brazilian Constitution and laws. The decision by the lower court would be later upheld in an appeals court on January 24, 2018, when all of the polls on voting intention indicated Lula as the front-runner in the presidential elections of that year. Even with the arrest of the former president on April 7, the judge Sérgio Moro did not walk away completely from the case, as the rule of the legal system dictates. On July 8, the duty judge Rogério Favretto recognized the illegality of the imprisonment of Lula and ruled that he should be released. The decision generated a war of injunctions and ended up not being enforced, after the direct intervention of Judge Moro. The case scandalized the law world. “It is an unfortunate episode, really unfortunate, and what we saw happen that weekend was an embarrassing chapter in the history of the criminal process, exactly because nothing similar has ever been seen: a war of decisions in one weekend,” Hideo says. The continuous meddling of Judge Moro to keep the former president in prison and in silence during the electoral process would not be in vain. The consequent disqualification of the former president to contest the presidential elections facilitated the rise of the extreme-right wing leadership in the process, and Jair Bolsonaro resulted victorious. After the elections, Sérgio Moro was announced Minister of Justice in the new government. Hey Buddy!, I found this information for you: "Do you know why Lula is in prison?". Here is the website link: https://peoplesdispatch.org/2019/04/06/do-you-know-why-lula-is-in-prison/. Thank you.